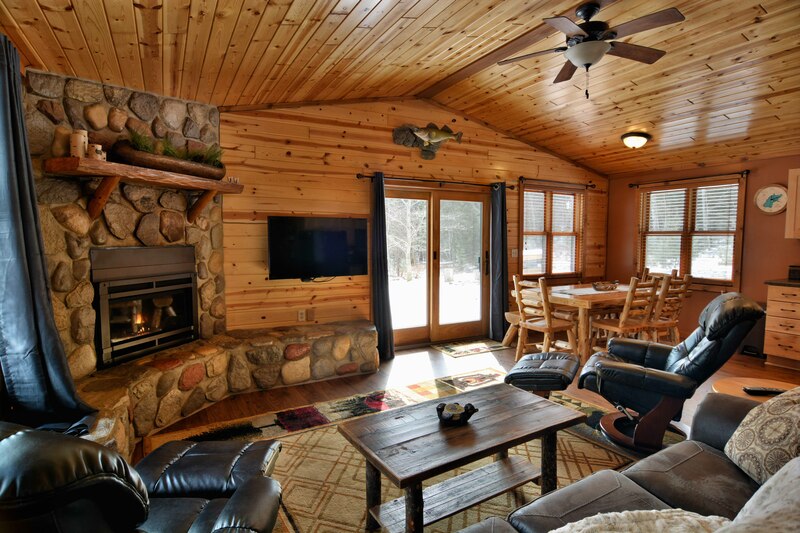 Nightly Rates: $135 for first 2 people, $25/night each additional person per night. 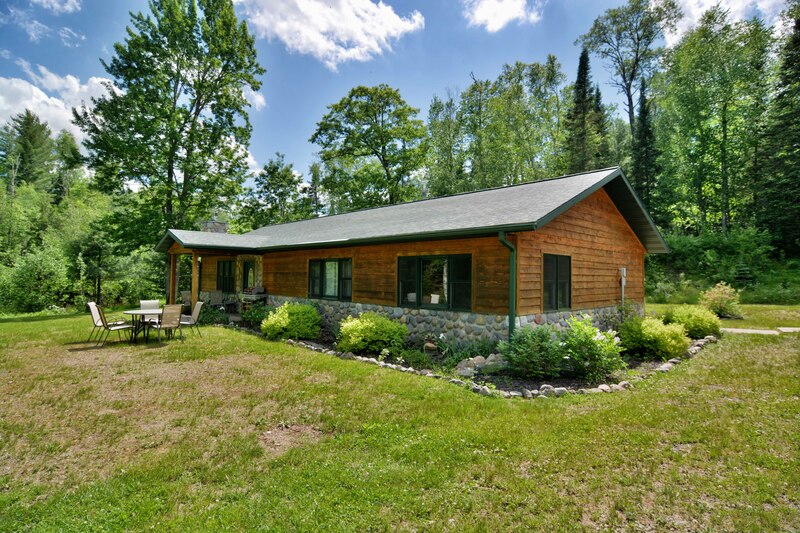 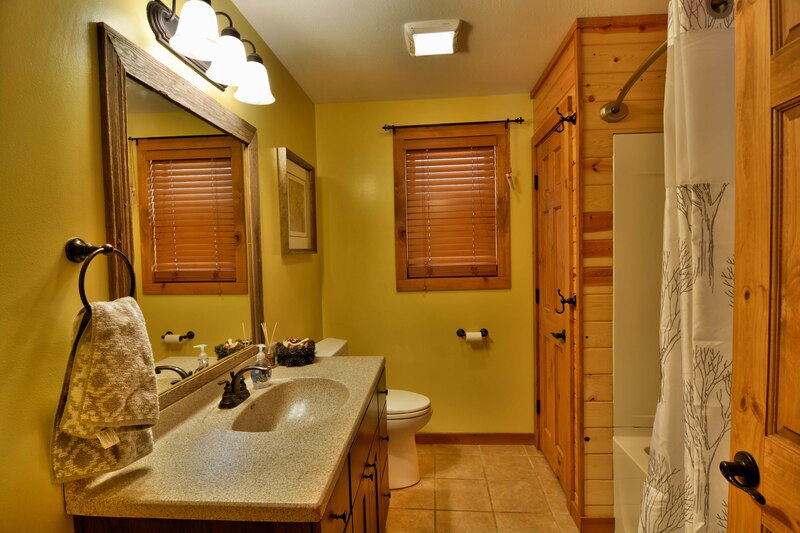 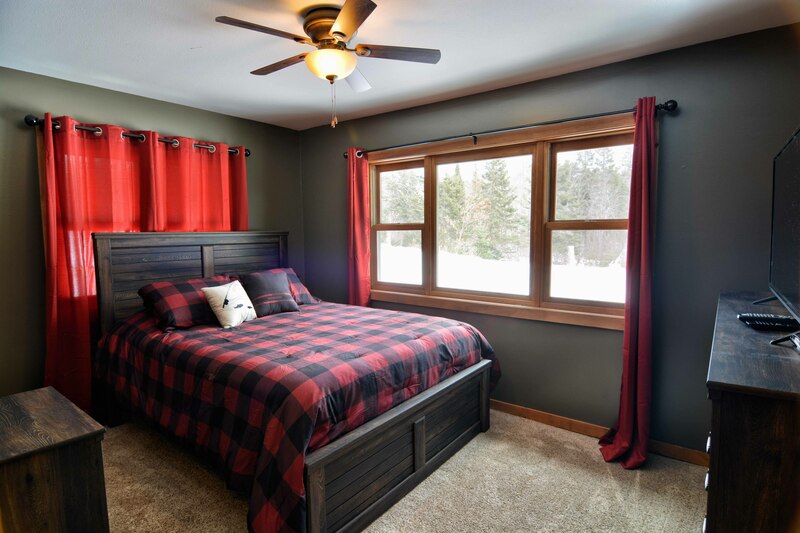 Otter Lodge is a cozy 3 bedroom, 1 bath vacation rental home on the banks of the West Fork of the Chippewa River as it flows between Upper Clam Lake and Lower Clam Lake in Wisconsin’s Northwoods. 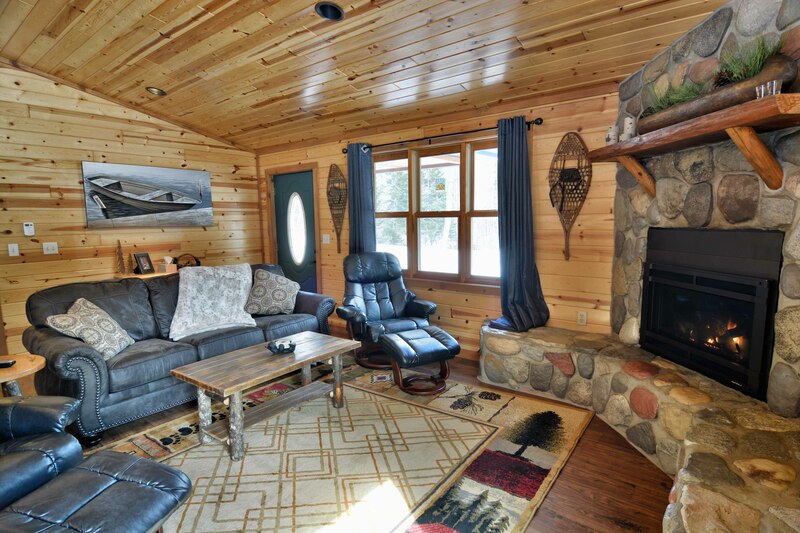 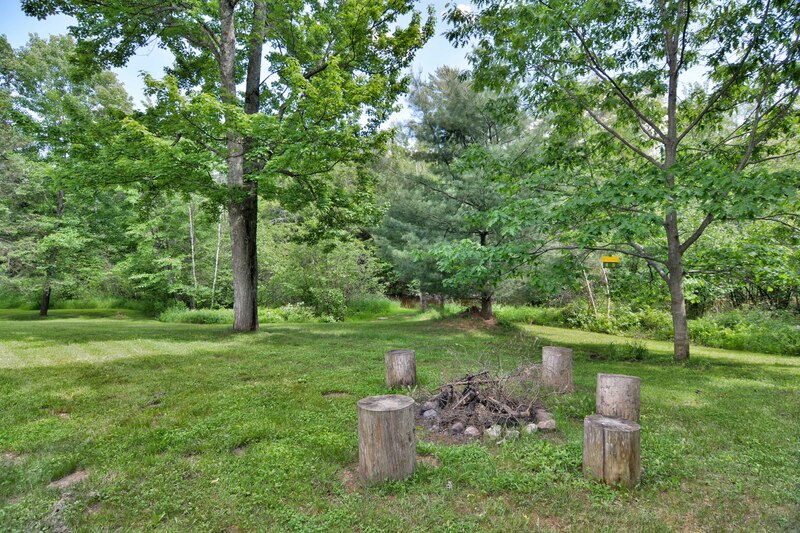 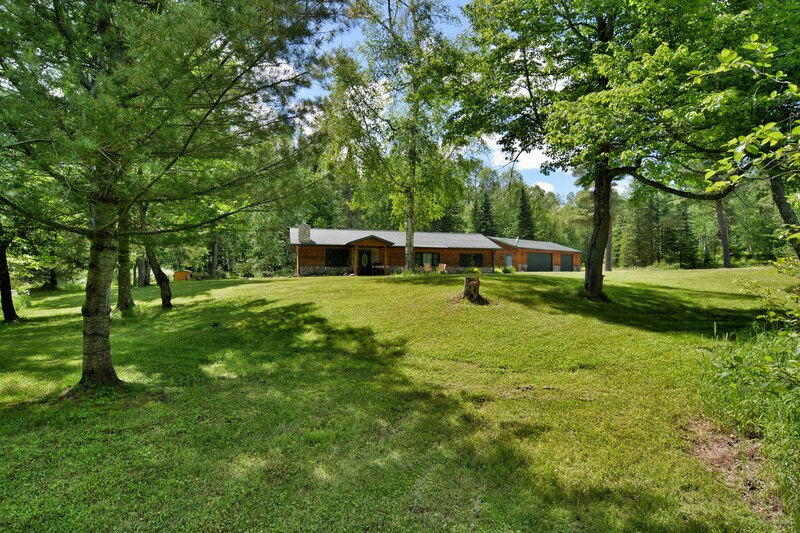 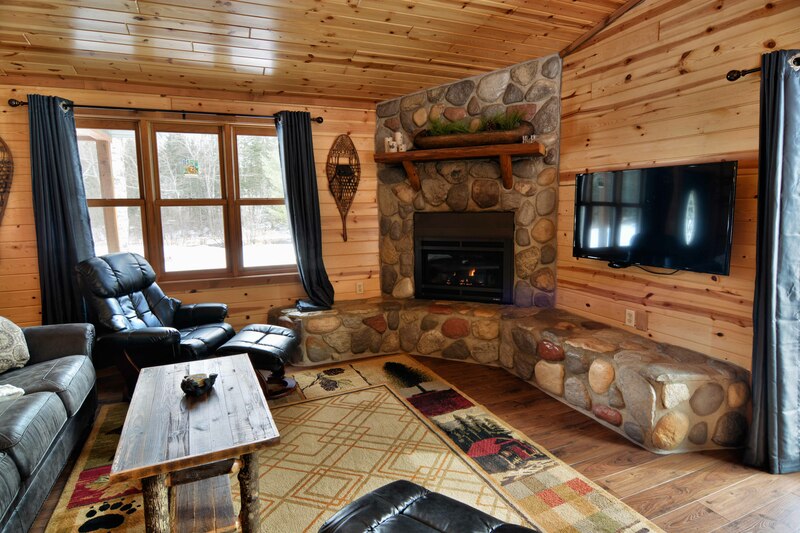 This rental has direct access to both Clam Lake area snowmobile and ATV trail networks. 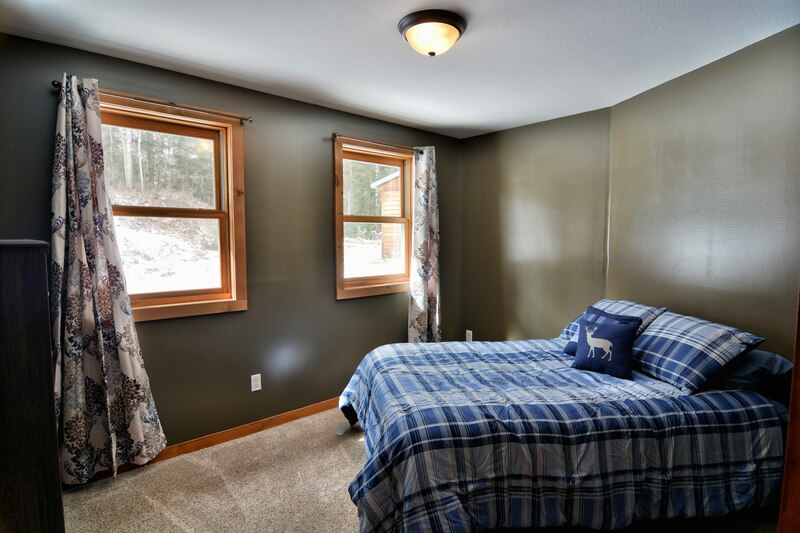 The recently remodeled home sleeps 7 and is comfortably furnished with tongue-and-groove and wood floors. 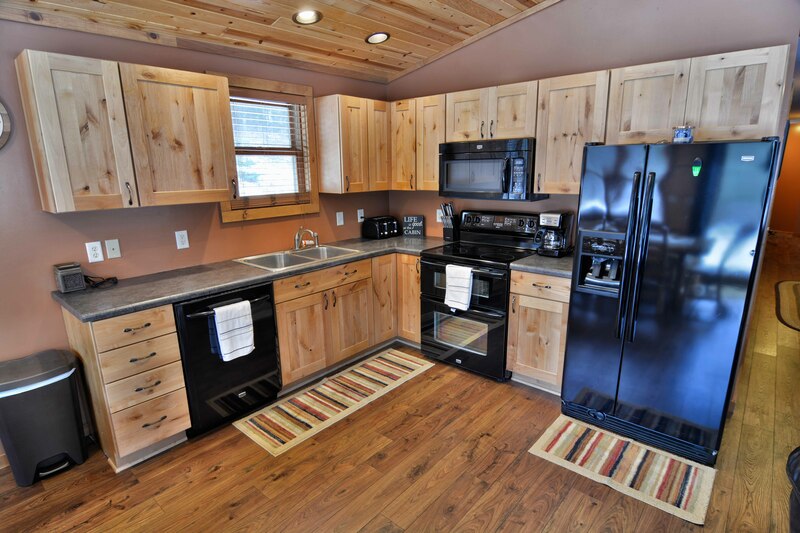 The open kitchen, dining and living areas feature a fully equipped kitchen with newer appliances including oven and electric stove top, microwave, full size refrigerator and dishwasher. 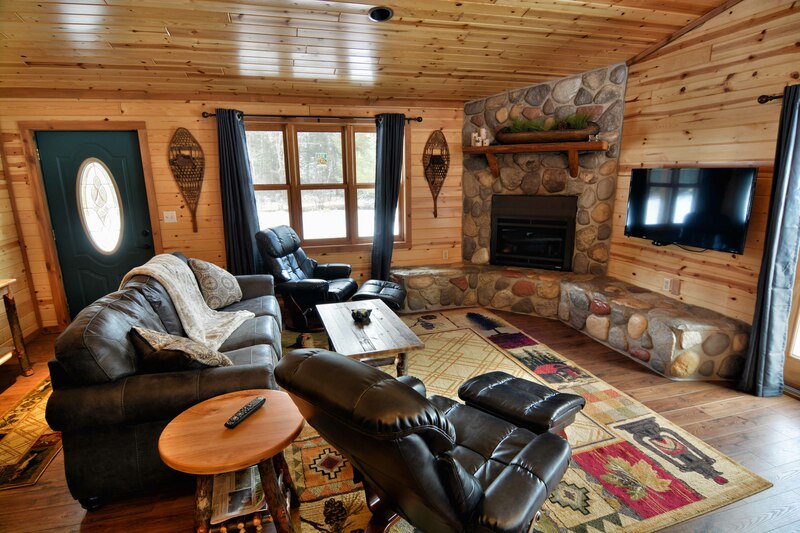 The living room has a gas fireplace and a large flat screen TV with Cable TV. 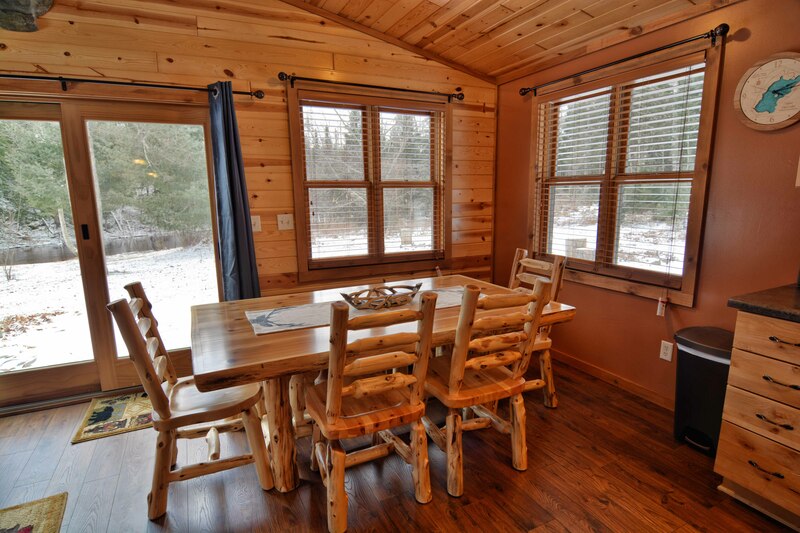 The rental also has Wi-Fi Internet available. 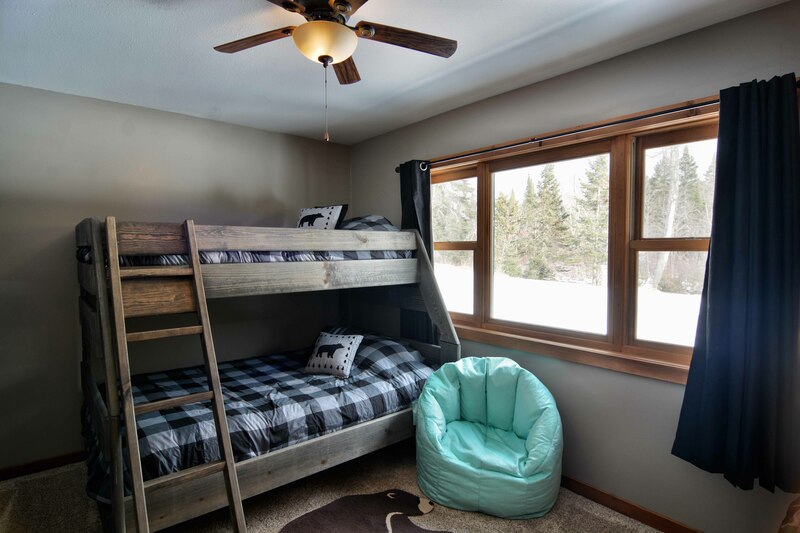 Two of the carpeted bedrooms have one queen bed in them and the third bedroom has a bunk bed with a double on the bottom and a single on top. 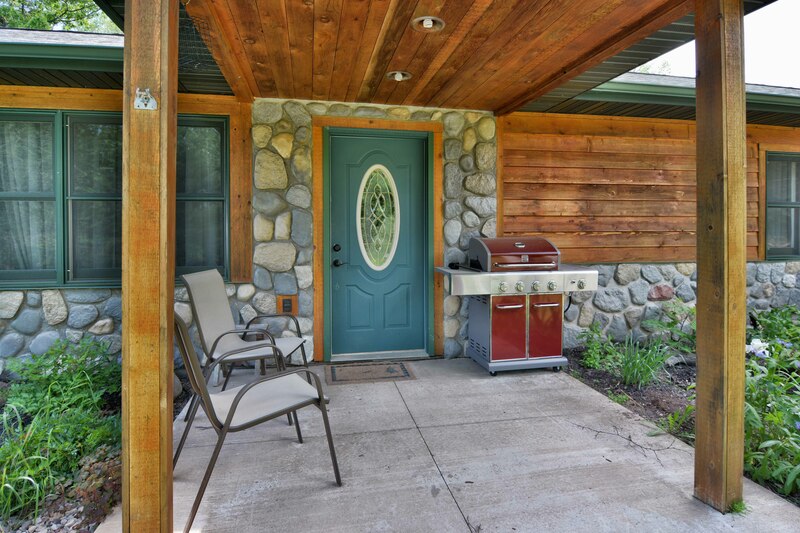 Patio doors lead out from the great room area to an outdoor patio and camp fire ring. 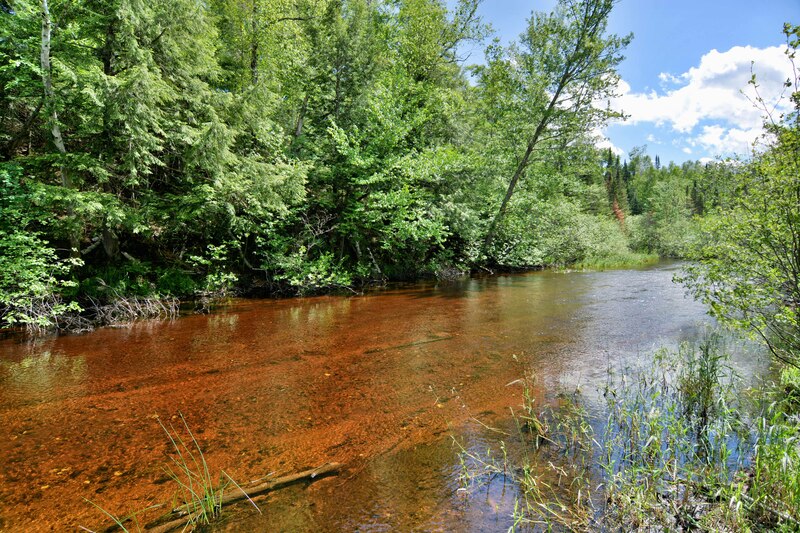 Enjoy the sounds of the river as it flows by or maybe spot a resident elk as it strolls through for a drink. 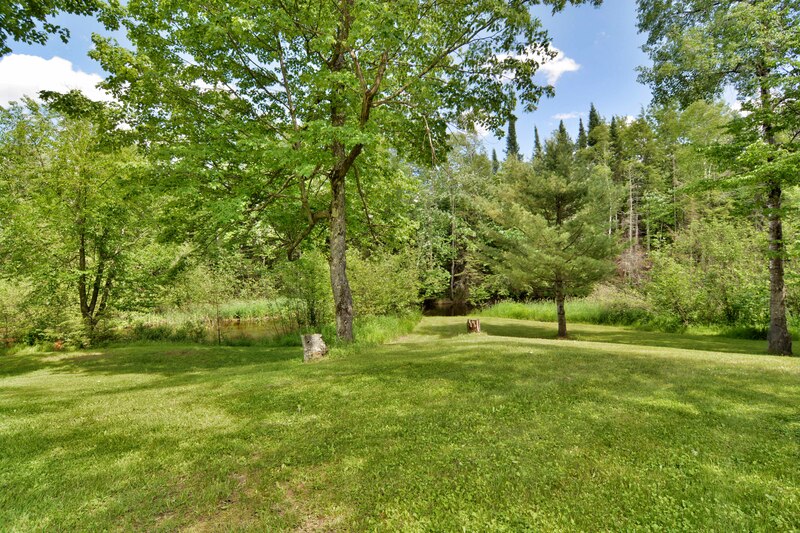 There is ample parking for trailers. 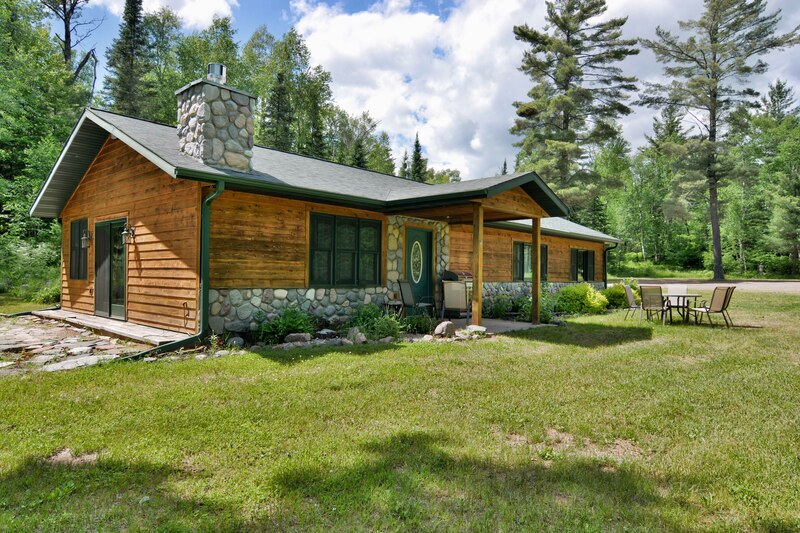 With direct trail access, Otter Lodge makes a great home base for exploring the miles of trails right out the front door or the many nearby lakes that offer good fishing and recreation!